All movement is measured from the start position of the centre front of the unit to the end position of the same point, including following changes of formation. A formed unit which moves must move forwards by least half an inch, unless it starts its move with an about face. No part of the unit can end behind its start point. Only a formed unit which moves straight forwards, with no alteration to its’ orientation, may move its’ full movement distance. Any other forward move goes a maximum of 75% of the full move distance. A formed unit which commences with an about face obeys all the normal movement rules for the remainder of its move, based on its’ new direction. A formed unit which does not move straight ahead will end its move oriented more to its left or right than it was at the start of the move. Its centre front must lie within the 45-degree arc to the relevant side of straight ahead at the end of its move. It cannot lie on the straight-ahead line. 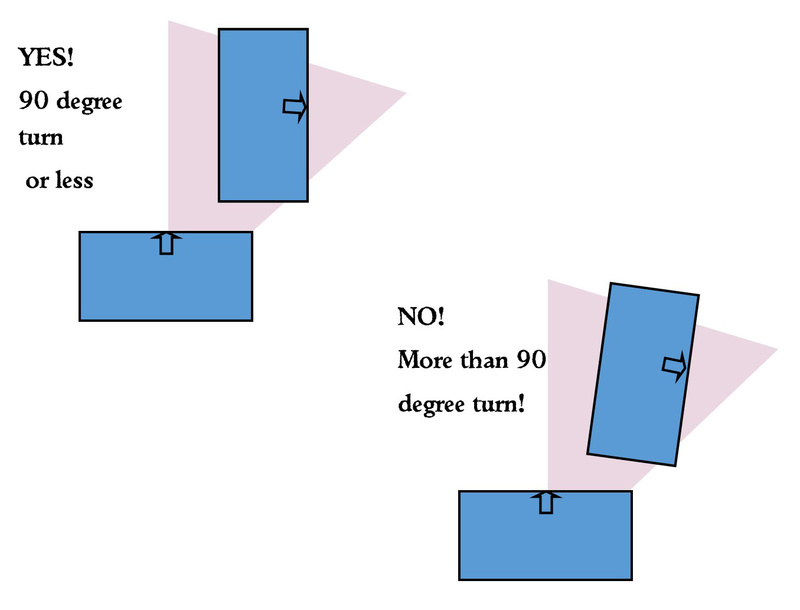 It cannot rotate more than 90 degrees. Test 1 in paragraph 5.2 Manoeuvres is no longer applied. Test 2 is still applied to determine whether the unit has made a legal move. A skirmish unit may move in any direction. If it moves straight forwards, with no alteration to its’ orientation, it may move its’ full movement distance. Any other move goes a maximum of 75% of the full move distance. 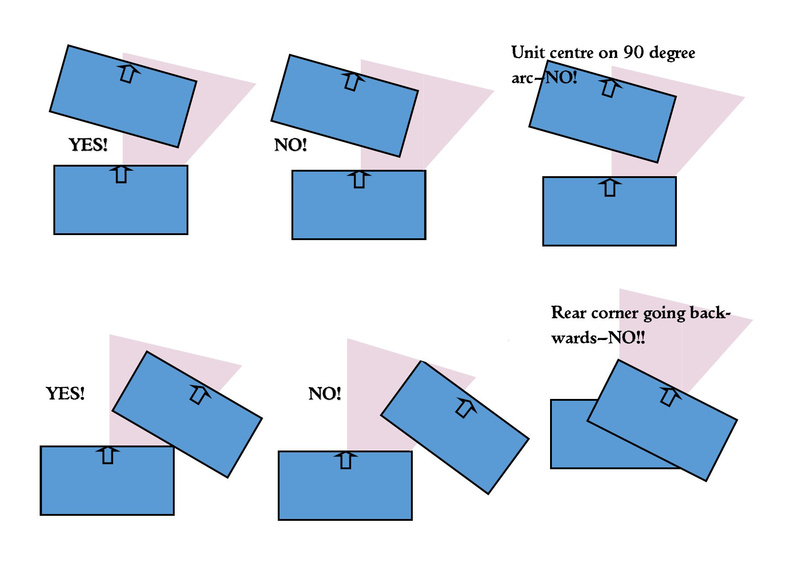 A skirmish unit loses half its move distance if it changes its formation. Inevitably some errors remain in the published work however hard we try. Sorry! Page 9: Formed Troops: Change third and fourth sentence to read: A formed unit is one that is at least as wide as the minimum number of bases for its type (see table on page 8). When a formed unit falls below this width or the minimum number of bases for its type, it becomes unformed. This rule does not apply to units using the Massed Pike rule. Page 10: When armies do not reach break point: Change last bullet point to read “Each three surplus Momentum Tokens held in a player’s pool at game end, after each discarding the number of tokens held by the player with the lower number: 10 victory points”. Page 14: 2.1 Hitting the Target: Change last sentence of second paragraph to read: “The bonus does not apply to formed inferior shooters, nor if the unit’s front row is not shooting”. Page 18: 3.3 Movement of disengaging troops: Add to first paragraph: “The unit may diverge from its direct path to avoid other troops”. Test 1 in paragraph 3 is no longer applied. Test 2 is still applied to determine whether the unit has made a legal move. Page 21: Change Formation (5.2.2) Add at end: “When changing formation a unit must expand or contract symmetrically around its centre point or as closely to this as possible in its circumstances”. Page 24: 1.5 Hitting the enemy: Change last paragraph to read “Inferior Fighters hit all but other Inferior Fighters on a throw of five. 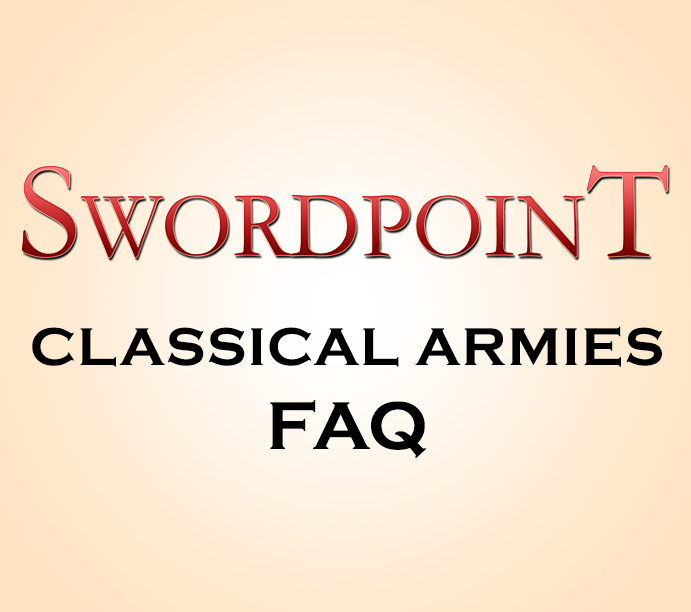 Units armed with bows, longbows or crossbows and no named melee weapon are Inferior Fighters unless otherwise indicated to be Superior Fighters by their army list”. Page 26: 2.2 Applying the Combat Result Differential: Below the table the paragraph should read: "Troops that are fighting to flank or rear read their combat result one line lower on the table than the difference in scores suggests, even if they achieve a differential of 0. So a flanked unit must actually win to avoid being pushed back, a draw is not enough." You should note that other special rules which alter the result line used, such as Shock Cavalry, Warband or Elephants, only apply to a genuine loser, so the differential must be at least 1. One of these special rules can be applied in addition to the flank/rear rule, but two cannot, neither do they "stack" with each other (as they each alter the "normal" combat result). Page 37: Skirmishers in Combat: A skirmish unit that is charged by a Scythed Chariot and successfully passes its Cohesion test may open a lane in its ranks to let the Chariot through without damage. The Chariot is then removed from play. Page 38: Scythed Chariots: As the scythed chariot model has a base strength of 2, it will take a Cohesion test for 25% casualties if it sustains a casualty from shooting. Friendly units do not take a Cohesion test when a scythed chariot is removed from play. If a Scythed Chariot is itself charged, then it may countercharge. In this situation neither unit takes a Cohesion test. Page 52: Sassanid Army list: All commanders ride horses. Army Composition should say “Infantry: Up to 50%. Cavalry: at least 50%”. Light cavalry entry: Should refer to “Horse Archers” as a single entry. 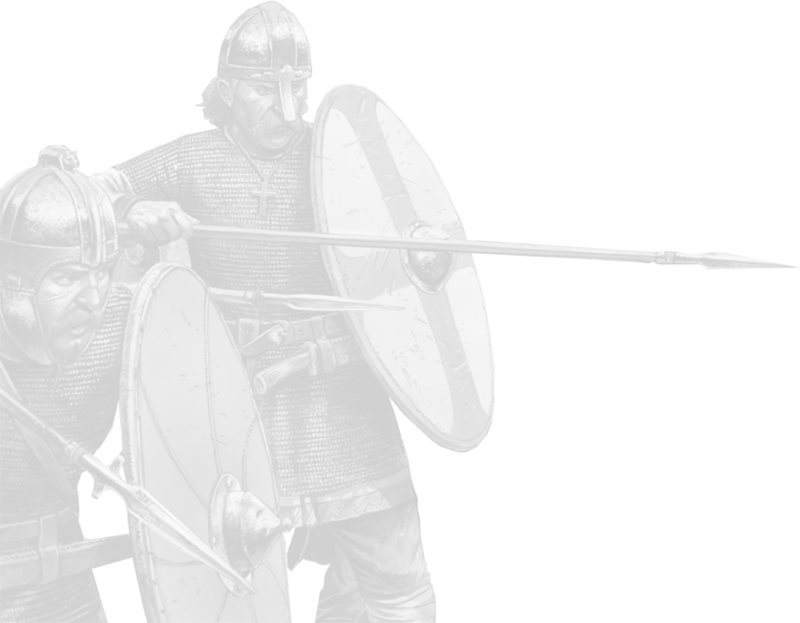 Sassanid Army page 52: Add after Light Cavalry entry: “In an early army, there must be at least one light cavalry figure for each heavy cavalry figure in the army. In a late army there must be at least one light cavalry figure for each heavy cavalry figure in the army, unless All Azatan noble cavalry have bows". The army may include a Wagon Tabor. In a Post-Mongol Conquest army, a Wagon Defender may exchange his bow for a crossbow (+2). Points for the Tabor come from the Infantry section. There may be one base of defenders per wagon in the Tabor. Defenders have javelins and shield. Inferior Fighters. May exchange javelins for bow (free). They form one single unit. New games naturally generate a number of queries and so we intend to build a series of FAQ responses which you will find here. NB We have taken all the current FAQ's and made them available for in one PDF which you can download using the link below. New ones will rest on this page for a which before being amalgamated into the download! Allies act in every way as a normal part of the army. When fielding Allies, only the troops native to the Allied list can be used - not the allies of the allies! number of Commanders available to the host list. Where a minimum is shown for a unit type in the Allied list i.e. "+2 Horse Archers", then these units must be taken as Allies before any other unit. Any restriction, limitations or options in the Allied list i.e. 0-1 Guards, the unit must not be more than four bases strong, every second unit may be fielded as skirmishers etc, apply. All troops imported from the Allied army count only against the Allies percentage and are not affected by the host army’s proportions. 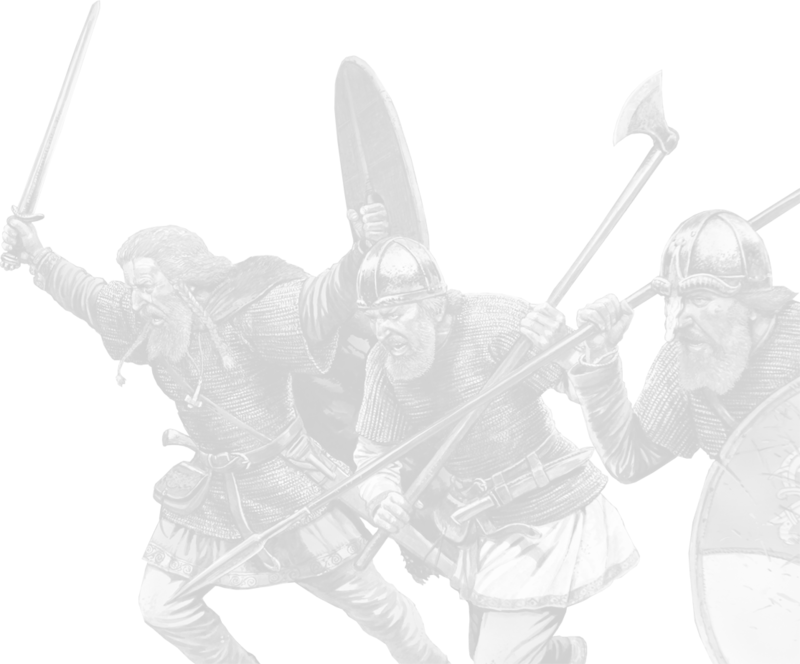 For example, the Viking list has no Cavalry component but it can take Irish or Saxon cavalry from its allies. However, you may not take more of a troop type from the allied list than it allows to its own forces. For example, a list allowed 50% allies cannot take 50% allied cavalry if the allied list only allows 25% cavalry. Q. 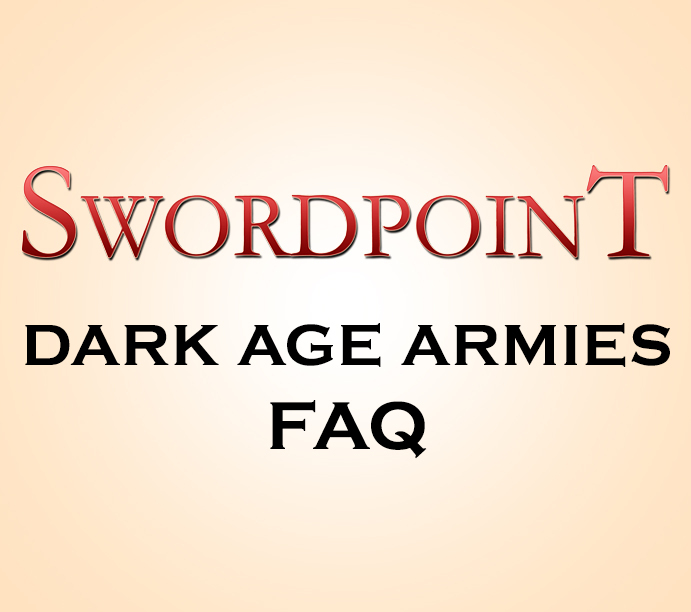 Do you have a question about Swordpoint that you would like the Development Team or The Play Testers to answer?